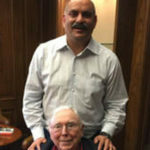 Mohnish Pabrai takes every opportunity to sing rich praises about Indian stocks when hobnobbing with deep pocketed foreign investors. In the past, Mohnish has waxed eloquent about how he “loves” Indian stocks and expects to “make a lot of hay” from them. In his latest interview to Forbes, Mohnish has again come out with all guns blazing in favour of Indian stocks. “I find the USA a very difficult area to find mispriced securities … if you look at markets like South Korea or India or Japan there is a lot more mispricing to be found …. India for example, I have found very significant mispricing,” he said. Mohnish did not stop at that. He made the shocking revelation that his PMS Funds now hold no USA stocks. 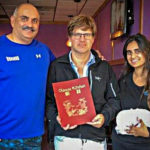 “One thing interesting that I’ve found in the Pabrai Funds portfolio – despite my never approaching things from the top down, we have nothing in the US. Zero percent of our current assets are in the US. Which has never happened in the 19 years of running the fund. We always had a very large portion of assets in the US. I would have never guessed that we would get to the point where we would be at zero – but here I am. It’s the nature of the beast, I just can’t find much in US markets at this time,” he said. Naturally, this came as a big surprise to the distinguished foreign audience whom Mohnish was addressing. However, we at Dalal Street were not at all surprised. Mohnish has earned a tremendous fortune from some of his stock picks such as Rain Industries, Sunteck Realty, Kolte-Patil, Oberoi Developers etc. 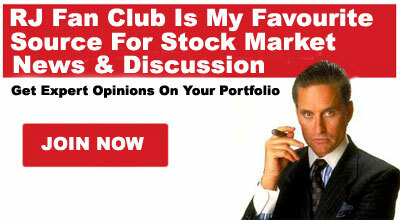 He bought these stocks at close to liquidation value and watched them blossom into multibaggers before his very eyes. This has endeared Indian stocks to Mohnish and he cannot think of investing in any other territory now. 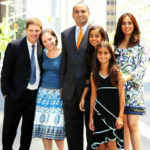 Mohnish Pabrai’s latest stock pick is ‘Credit Analysis And Research Limited’ alias ‘Care Ratings’. Yesterday, 26th June 2018, his Dhandho India Zero Fee Fund Offshore Ltd bought a chunk of 204634 shares of CARE at Rs. 1,188.24 each. The amount invested was Rs. 24.31 crore. At a plain glance, it is obvious that CARE Ratings has several virtues which make it irresistible to a value investor. Some of these virtues are high RoE of 30%, high EBITDA margin of 65%, high PAT margin of 50%, high dividend payout of 30%, high dividend yield of 2.94%, asset light model, debt-free status etc. These virtues make the stock fail-proof and a powerful compounding machine. Rakesh Jhunjhunwala, the Badshah of Dalal Street, is a strong believer in the prospects of credit rating agencies to shower multibagger gains upon investors. He and his wife Rekha Jhunjhunwala collectively hold a massive treasure trove of 39,65,000 shares of CRISIL as of 31st March 2018. The investment is worth Rs. 714 crore at the CMP of Rs. 1800. In an interview to ET, Rakesh Jhunjhunwala described the credit ratings business as a “halwa business” because of its high entry barriers and low capex requirement. The Badshah explained that the business is such that no marketing efforts are required. Clients desiring to obtain a credit rating report walk in through the door and pay fees in advance. He further explained the charms of the credit ratings industry in an interview with Omkar Goswami, the distinguished economist. (vi) It is a duopoly business with CRISIL and CARE dominating the field (ICRA is a smaller player). Most companies obtain a rating for both (or all three) agencies and use the one that suits them best. CARE, the second largest rating company by market share, is a pure play on the rating business with ~99% (Rs 322 crore) of its FY18 core revenue generated from the rating segment. The highlight of CARE’s business is its best-in-class EBITDA margin of 60%+ and PAT margin of ~50%. The business model is asset light with not much capex (Rs 10-15 crore) while it generates strong operating cash flow. Post its listing, the dividend payout ratio improved from 30% in FY12. PAT traction had moderated since FY16 with bank credit growth slowdown impacting rating revenues. An upturn in the capex cycle and development of the bond market is required for healthy rating revenue traction ahead. In 1993, CARE was third credit rating agency (CRA) to be incorporated in India. However, it gained significant ground to become the second largest CRA by revenue post FY09. It clocked 50% revenue CAGR in FY08-11 vs. 30% by peers. CARE is strong in bank loan rating (BLR) and bond market while it has an insignificant presence in SME space as of now. We expect it to maintain its rating revenue market share of ~29% ahead. According to Rakesh Jhunjhunwala, the ratio of financial services to GDP in India is pathetically low at only 4% while it is as high as 16% in developed countries like the USA. It is obvious that as the Indian economy grows in size, the debt and financial services sector will also grow and this will cause the fortunes of credit rating agencies like CRISIL and CARE to sparkle! if that is the case, please track CARE stock price since its IPO and judge for yourself why it is languishing at the current price? it should have steadily climbed is it not? Credit rating agencies ,many of those companies which has created NPAs mesh in India or even during 2008 meltdown ,had investment grade credit ratings.In my view credit rating agencies must also be made legaly liable for giving good credit ratings to companies which become sick after taking huge loans.Govt should order forensic audit of all rating companies who might have given investment grade credit rating to those comnpies which become sick after taking huge bank loans. Investing is a dynamic business as has been demonstrated by pabrai’s investment in CARE.Otherwise, how could he ,being a value investor and stickler for low P/E and low P/B,justify his investment in CARE? This investment is surely a Growth investing. The fact that even BUFFETT has done that under the influence of Munger proves that investing is a dynamic process should be according to prevaling circumstances. Dont know why it is stated that credit rating has strong entry barriers! Its no rocket science! Competition can be created by any existing or new institution of professionals, only that, it hasnt happened so far. Moreover, the business of the top 3 are not immune from risks – just look at their ratings of companies that have defaulted. Not much different than the S&P or Moodys rating Lehmann brothers AAA just 2 weeks before its insolvency filing. This is going to be one more of those halwas that are likely to go stale with any small negative news, just like a number of other great ‘businesses’ for ‘multibagger’ industries that are tormented currently (textiles, chemicals etc). The negative news can come from govt regulation like it happened for CAs/audit firms and their governing body losing their strength. It is a great business..no doubt about it. But, it what valuation? Over last 2 years, you published several articles glorifying their purchases (your words about them…GODs, experts, Gurus, Wizards…etc. non-sense). new retail investors blindly followed such articles & destroyed their wealth. 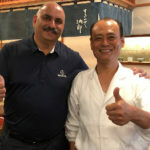 Pabrai is right. Stocks are getting cheaper and cheaper each day, and existing investors are getting pauper and pauperer! Multi-baggers are turning Multi-beggars. And the bad news is set to continue for another 1-2 years – currently, the US is going overboard with its economic, home and foreign policies that are affecting emerging markets to metals to crude; soon the political drama will unfold with assembly elections this year and mega loksabha elections next year. I’m curious how this metaphor of ‘halwa business’ came around? Does halwa business have strong entry barriers/ moat/ monopoly etc..? what is unique about it? For care income from operations look good along with steady profits but so far as stock prices goes they aren’t really reflecting any of these. I kind of agree with Rakesh Jhunjhunwala on his stand specially when it comes to indispensability of business but little further research on stock wouldn’t really hurt. I will add it to my list of stock as potential buy candidate.